Is there an animal lover on your list who has every cat or dog-themed t-shirt and handbag, and even their pets have every toy they can use for the rest of their natural lives? 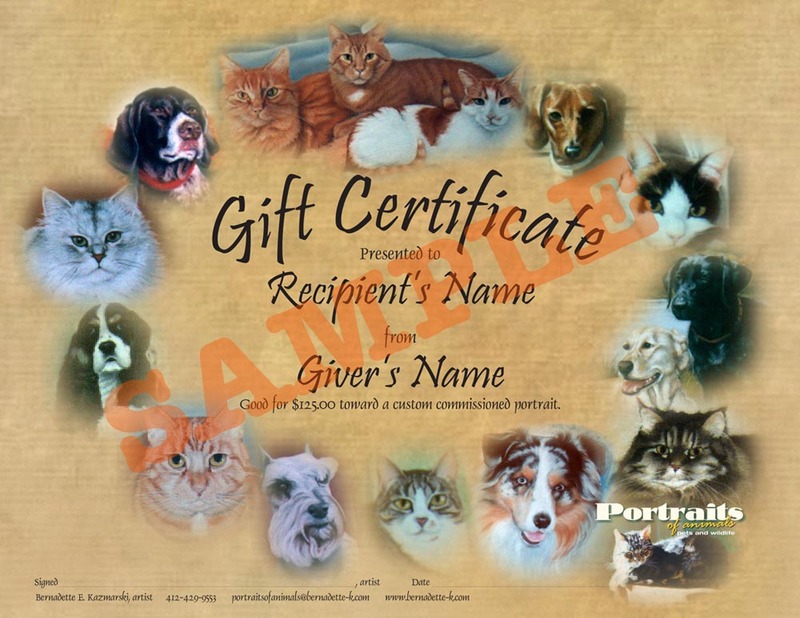 Consider a Commissioned Portrait Gift Certificate. Whether it’s for someone else or yourself, a custom portrait is different from a professional photograph because we can create the scene that you remember even if you never had the chance to photograph it. Your household of animal companions can be grouped in a natural setting even if their lives didn’t overlap. You can also purchase a gift certificate that can apply to the entire site. Visit Gift Certificates.